Aaron's mom brought him one of his grandfather's rhubarb plants last spring. We already have a nice crop which Aaron cut for me to make a strawberry rhubarb pie. 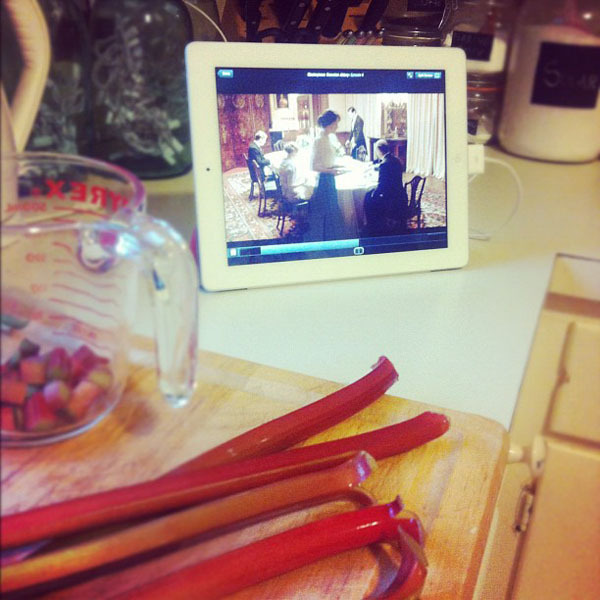 I did some late night baking while watching Downton Abbey on my iPad. 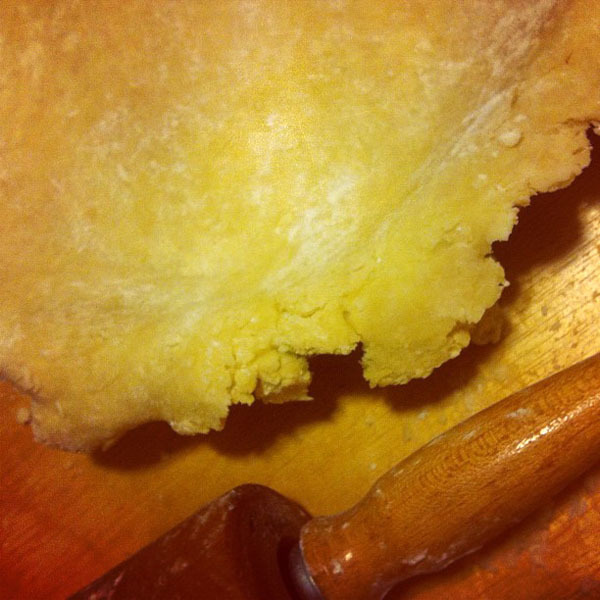 For the first time that I can recall, I made the pie crust from scratch. I think I'm hooked... it was so flakey and buttery. 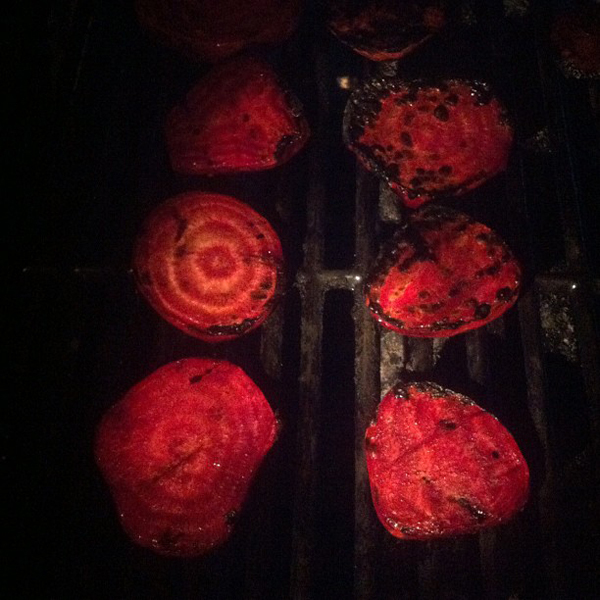 Another food first... we grilled some beets. We love beets and my parents gave us some from their garden. Usually I roast them in the oven, but I saw online that you can cook them on the grill. I ended up burning a quite a few of them, and some didn't seem cooked enough but there was promise in some of them. I think I need to adjust the thickness of the cuts, the heat and how long they stay on the grill. oh Downton Abbey! I just finished watching season 2. I'm glad season 3 is starting soon. My mom always steams them - they're super tasty that way too. Try it sometime.